Do you fancy visiting a village that is full of green? If the answer is a yes, Yana is the place to be. Lush green backdrops, beautiful hillocks and dense forests, the place has all that a nature lover could ask for. Call it a hill station or a village, Yana is situated within the Kumta forest of the Uttar Kannada district of Karnataka. It is known for its unique karst rock formation. These laterite rocks are the ones that challenge the adventurous traveler. In this article, we give you a sneak peek into the legends associated with the place, sightseeing in and around and how to reach here. As per Hindu mythology, the place is closely associated with the legend of the demon king Bhasmasura. The king had been granted a boon by Lord Shiva that he could turn anyone into ashes or bhasma by placing his hand over their head. He wanted to try this on Lord Shiva himself. Seeking help from Lord Vishnu to stop this act, Vishnu disguised himself into Mohini, a beautiful young lady who mesmerized the demon king by her beauty and challenged him for a dance. During the dance, she cleverly posed with her hand on her head. The king copied the step and ended up getting reduced to ashes. The flames sparked were so strong that it turned the surrounding limestone black. That is how the two main peaks were named. 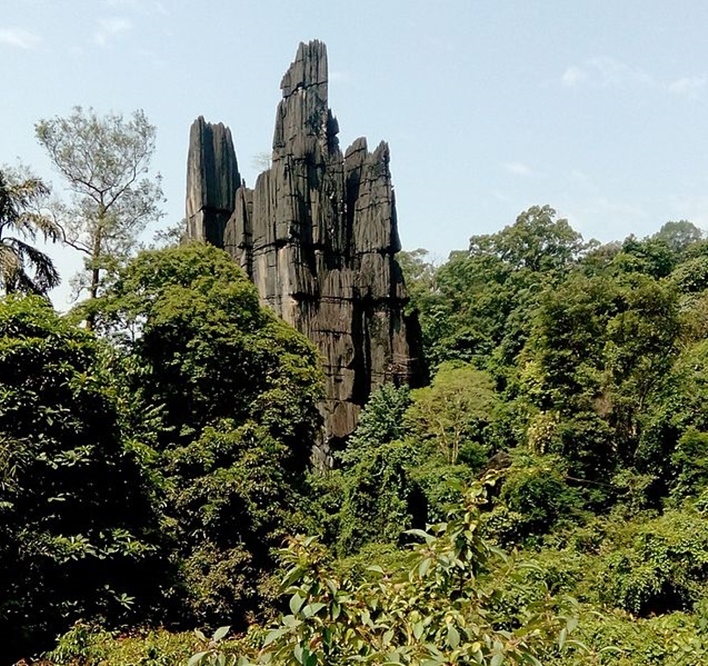 The monoliths that Yana encompasses are made up of dark limestone formations of the crystalline karst rocks, two of the most famous hills being the 90-metre high Mohini Shikhara and the 120-metre high Bhairaveshwara Shikhara. The rocky landscape, to be precise, lies well within the beautiful Sahyadri mountain range of the well-known Western Ghats. The rocks of the village that were earlier a tough trek now comprise of relatively well-laid roads to take you up. To the adventurous soul, this place serves as the perfect trekking spot with lesser tourists than popular spots. Although the number of tourists visiting has been increasing each year, it still retains the peace and calm of its surroundings. What makes the stretch special besides the fact that you can trek there, is the cave temple right below the taller shikhara. It has a linga which is believed to be self-created and is thus referred to as swayambhu linga. Water dripping on it from the roof above adds to the charm of the temple. 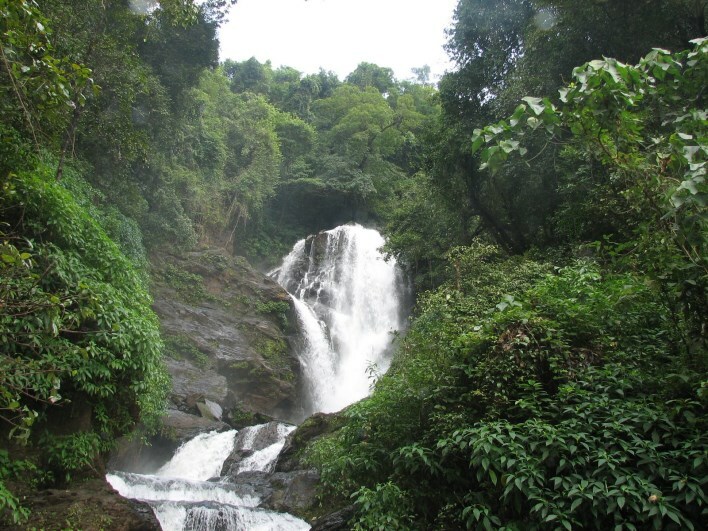 One must not forget to visit the Vibhooti waterfalls near Yana. The soft, serene waters of the stream-like fall only add to the beauty of the scenic landscape. The nearest airport is Goa International Airport, which is about 210 kilometres away. The next one is in Hubli. Bangalore’s Kempegowda International Airport is around 480 kilometres away. If you want to reach Yana by rail, there is no railway station at Yana. However, there are some stations in the vicinity. Board the trains at Kumta Railway Station, Ankola Railway Station or Harwada Railway Station. The main and biggest one is Madgaon Railway Station which is 112 kilometeres away. If you want to take to the road, try reaching Yana from nearby towns like Ankola and Kumta. So, what are you waiting for? Pack your bags and set out to explore the beauty of Yana today.